Over previous weeks, we have been focusing on health and wellbeing. 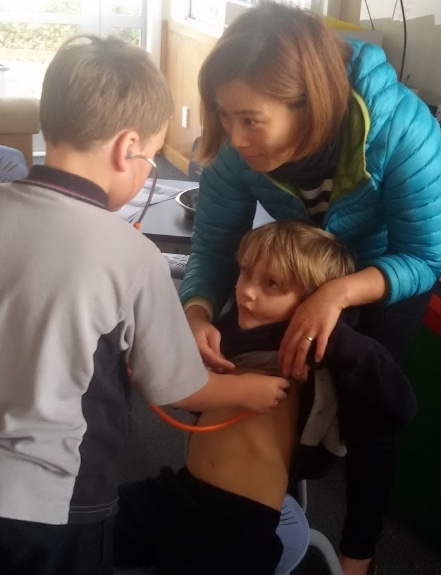 We had a visit from Dr Jess Joung and learned about our heart and how it functions differently before and after exercise. In addition, we have been learning about the food pyramid, healthy eating habits and our internal organs. 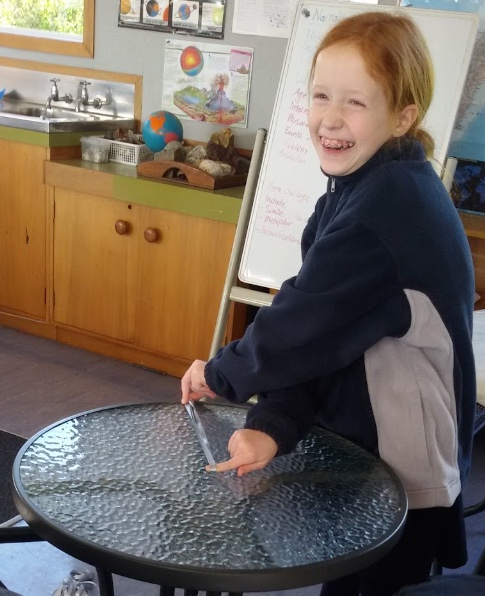 We have also been studying the geometry of triangles and circles, and applying these rules to everyday items such as round tables in the classroom. Find out more by visiting the room 17 blog here. Start of term 4 is Monday the 10th of October. Next trust meeting dates are Saturday 8th of October, and Saturday 12th of November. I have been doing my Montessori training for almost one month now. I am waiting on feedback from my first piece of submitted work, and working on my next piece, due this weekend. So far we have concentrated on Children’s House, geometry, arithmetic, music and language. It has been really interesting and provides a good understanding on what the children should be working on in the earlier years before elementary. My first observation will happen at the end of October. Timing isn’t great because most schools are on holiday so we are still waiting to find out where we can go. We have to go out of Italy and it looks like our options are either Switzerland, Germany, England, Spain or Ireland at this stage but it is yet to be confirmed. James is still loving his school. Today he came home raving about how he learned Racks n Tubes. Which of course coming from mainstream he has never used before. He is picking up more Italian words slowly and the teachers are trying hard to help him understand Italian. Term three has been extremely busy for the trust. Not only have we welcomed Samantha into RM 17, sent our best wishes to Karen as she embarks on furthering her Montessori training in Italy, and supported the teachers in holding a fantastic parents evening (something we plan to become a regular event). We have also been busy revisiting how the trust operates. This is a big task, seeing us busy putting the final touches on the new website, reinventing our enrolment process, and most importantly, carefully analysing the financial situation of the trust to ensure long-term security for the classroom. After much consideration and advice from our tax consultant, we have arrived at the new term fees of $862.50 – a 15% increase to cover GST. With these changes in place, we will be sending out new invoices from October for 2016. We have also had to move away from requesting tax deductible donations to collecting fees. Thank you to all parents who managed to attend our finance meeting in September – we know you are busy, and we really appreciate the greater opportunity to better discuss and gather feedback on these changes. We strongly encourage anyone that has any questions or concerns regarding any aspect of the new fee structure to get in touch with someone on the trust, as we want to work with families to minimise any financial burden and ease them through this transition.